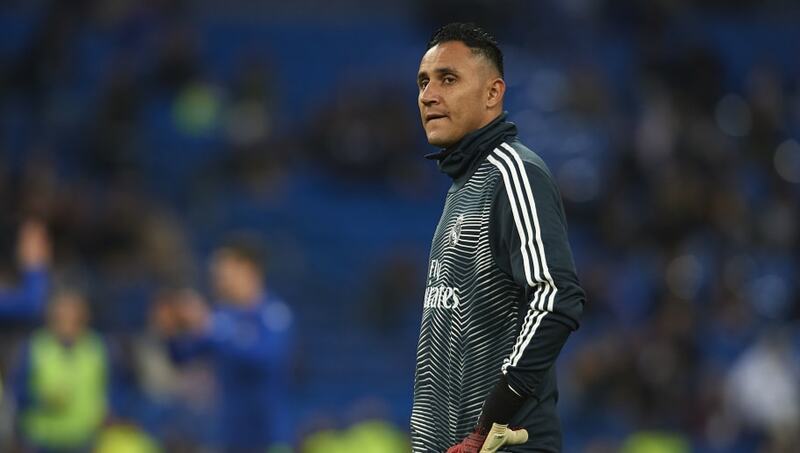 ​Real Madrid goalkeeper Keylor Navas has become the latest star to join a lengthy injury list for a struggling Los Blancos side, after the Costa Rican picked up a groin problem in midweek - leaving them without a fully fit senior goalkeeper this weekend. Santiago Solari’s side were already without a number of star names through injury, with Toni Kroos, Mariano Diaz, Marcos Llorente, Gareth Bale, Marco Asensio and Jesus Vallejo all side-lined for the European champions. Though Madrid did not confirm the extent of Navas’ injury, the 32-year-old is now set to miss Los Blancos’ huge La Liga clash with Sevilla on Saturday, leaving them to rush ​Thibaut Courtois back into action sooner than intended. The former ​Chelsea goalkeeper has not played since 6 January due to a hip injury but has returned to training ahead of Saturday’s match at the Bernabeu. Courtois is therefore set to return between the posts for Madrid, softening the blow of losing Navas to injury ahead of another tough test for Solari’s side - who sold third-choice stopper Kiko Casilla to Leeds this week. Madrid are currently fourth in La Liga and level on points with Saturday’s opponents, though Los Blancos are ten points adrift of league leaders ​Barcelona. Solari’s men recovered their league form with a 1-2 victory away to Real Betis last weekend, having suffered defeat to Real Sociedad the previous week in what has been a difficult start to the New Year for Madrid.